Editor: The following is the first of what we hope is a regular column by a local, Chuck Cofer, in describing and photographing what he sees in his walking and biking around OB. Noticed a few interesting items on my morning walk 3-17-14 and thought some OB Rag readers might also find them interesting. 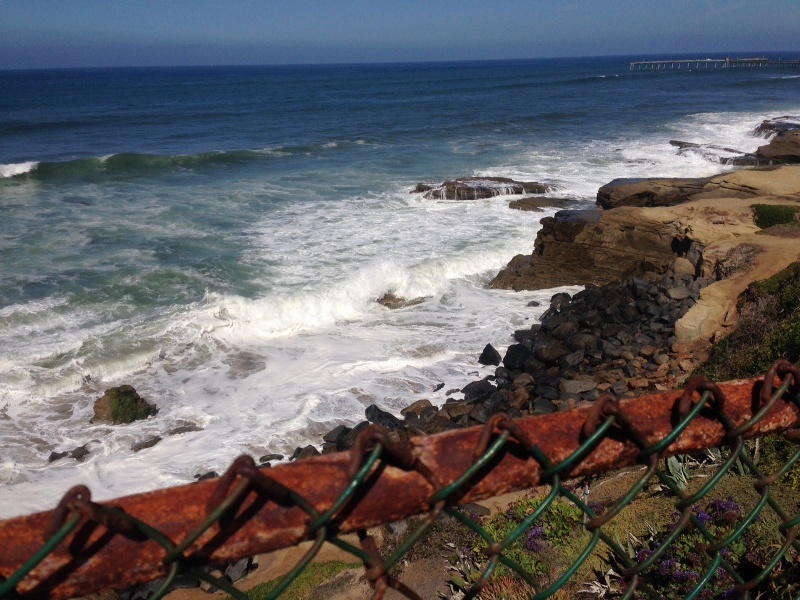 Monday morning I walked to the bottom of the beach stairs at the end of Santa Cruz Avenue. These three men were picking up large amounts of garbage left my weekend revelers. I’m not one to judge a book by its cover but my human instinct told me they did not own property on the cliffs above. I thanked them for their efforts and continued on as they continued to work. I noticed the large boulder that sits just off shore had crumbled. Of course this kind of thing happens all the time but it was still amazing to me the power of the ocean. I’m sure that rock had been standing for many years, right? You can spot the remnants in bottom left of photo. Great photos, Chuck! Wish I had been there to add my thanks to those volunteers for cleaning up the Cliffs and beach. About that large boulder… I noticed that it had fallen when I went to that area on Valentine’s Day. When I saw it, I seemed to recall we had had a big swell/or a storm come in a week or so earlier. It’s amazing what the ocean can do. 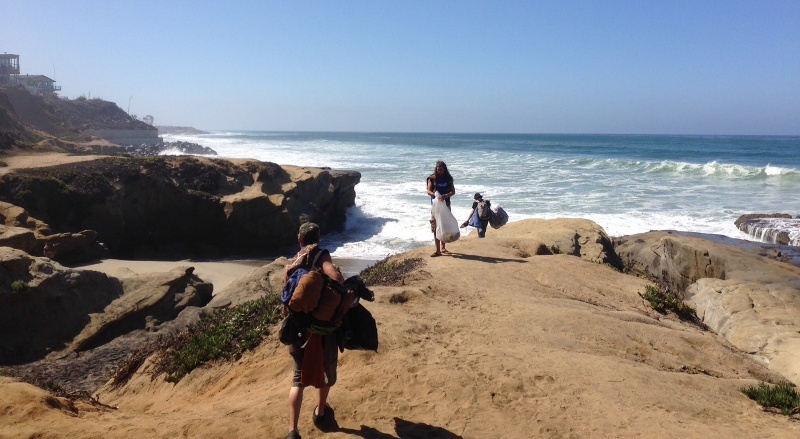 About the Santa Cruz Garbage People… Over the past years I have noticed quite a few people picking up after others there. It’s nice to see people who care. Nice days bring a lot of people who seem to be from “out-of-town” and they rarely clean up after themselves. I make a point to always thank people that are cleaning up over there. Bravo!